Developing a water management plan is essential for successful cooling tower operation, both in terms of overall cooling process efficiency, and in keeping system water and cooling tower components clean and healthy. An effective water management plan enables cooling tower operators to take a proactive approach to address issues such as scale, corrosion, microorganisms, and water conservation. A water management system provides a comprehensive way for cooling tower operators and water treatment providers to work together to protect cooling tower equipment, monitor water conditions, and maintain proper treatment cycles between regularly scheduled system inspections. An automated chemical delivery system, specifically, will provide all the tools needed to administer the treatment program, from monitoring to facilitating the delivery of cooling tower water treatment agents. 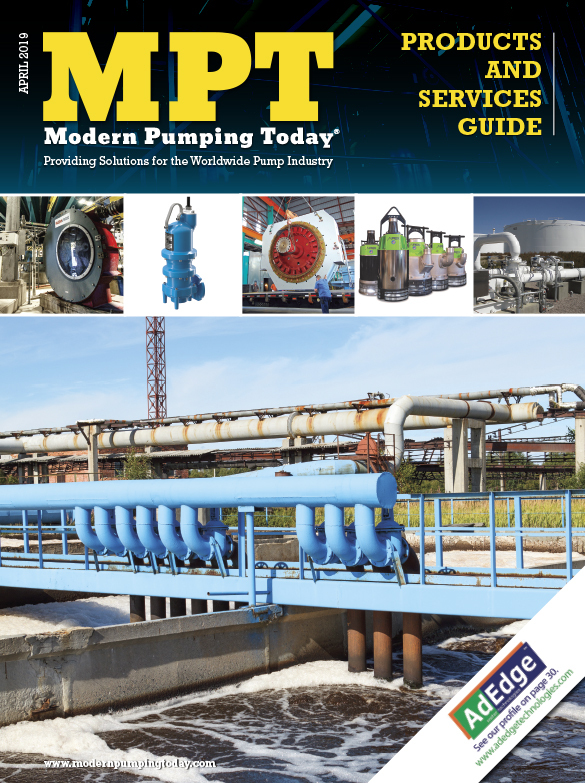 SPX Cooling Technologies, Inc., a full-line, full-service industry leader in the design and manufacture of cooling towers, has introduced the MarleyGard™ CD Chemical Delivery System and MarleyGard SP Basin Sweeper Piping System to help cooling tower operators implement effective water management plans. The preassembled MarleyGard CD System installs quickly and enables tower operators to monitor water conditions in real time, remotely. The Marley SP System controls solids by removing sediment and debris in the cooling tower’s cold-water basin, discouraging “slow-flow” areas. As a result, MarleyGard systems help maintain water quality and extend the operational life of the cooling tower. 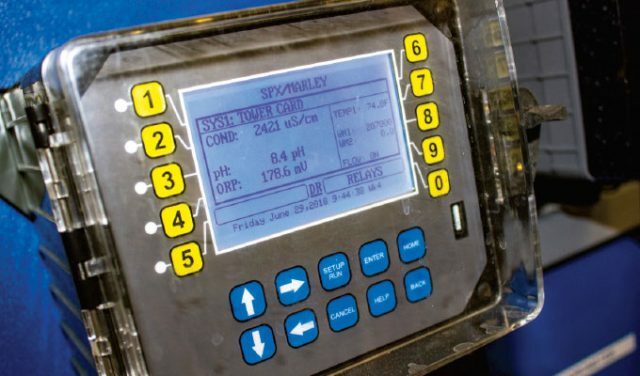 Specifically designed to facilitate delivery of cooling tower water treatment agents that minimize corrosion, scaling and biological growth, the MarleyGard CD Chemical Delivery System is an organized and robust control panel that continuously checks and communicates cooling water conditions. The system uses electronic monitoring to evaluate cooling water treatment and its effectiveness in keeping the control parameters within specified limits. In addition to regular water quality monitoring, the MarleyGard CD provides documentation and accountability for system managers as outlined in ANSI/ASHRAE Standard 188. 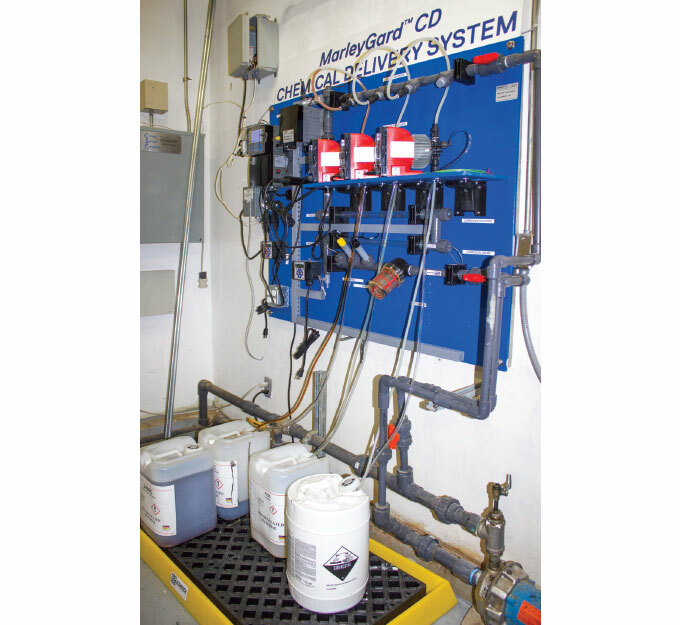 When using the MarleyGard CD Chemical Delivery System, operators can employ the water treatment provider of their choice. A technician is alerted when problems requiring on-site resolution are encountered. As cooling tower operations vary by site and water conditions, the MarleyGard CD Chemical Delivery System provides multiple, configurable options for certified water treatment professionals to utilize. The basic panel includes a controller, conductivity probe, chemical pumps, and injection ports. 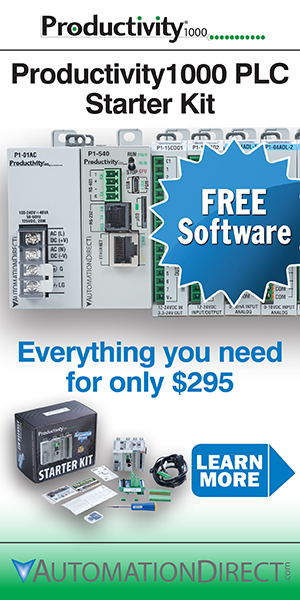 Additional options offer a communication controller, solenoid and blowdown, corrosion rack or corrosion meters, and more. The MarleyGard CD System also provides easy-to-use set points, calibration, and timers. Complementing the chemical delivery system, the MarleyGard SP Sweeper Piping System is another recommended option to help maintain cooling tower cleanliness and extend equipment life. The system uses nozzles to “sweep” solids toward the sweeper outlet suction pipe, discouraging the formation of biofilm, scale, and corrosion. The suspended solids travel through the pump suction pipe to a separator or filtration equipment (supplied separately), where they are removed and clean water is pumped back to the basin via the PVC piping and nozzles. Turbulence created by the nozzles further inhibits biological growth. SPX Cooling Technologies designs and manufactures cooling towers and other specialized heat exchangers, and provides water management products to support the execution of an effective water management plan (WMP) as outlined in ANSI/ASHRAE Standard 188-2015. Professional water treaters should be consulted to perform chemical delivery services. SPX Cooling Technologies, Inc. is a leading global manufacturer of cooling towers, evaporative fluid coolers, evaporative condensers, and air-cooled heat exchangers providing full-service cooling solutions, and support to customers in the heating, ventilation and air conditioning (HVAC), industrial, refrigeration, and process cooling markets for nearly a century. SPX Cooling Technologies and its product brands are part of SPX Corporation. For more information, please visit www.spxcooling.com.